Whisper Rock Real Estate is a private 800-acre, guard-gated golf community of 197 custom homes tucked neatly into the picturesque desert of north Scottsdale, Arizona. Every aspect of this community has been thoughtfully designed to complement the dramatic natural splendor of its unspoiled Sonoran Desert surroundings. Whisper Rock Real Estate is some of Scottsdale's finest homes. 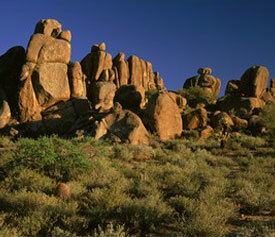 Home sites within Whisper Rock Real Estate range in size from 1 to over 4 acres. They are among the largest available within a gate-guarded community and offer generous envelopes for building your dream home. The size of the home sites assures spacious living, and the low density of Whisper Rock Real Estate allows for an intimateneighborhood feel. In addition to custom home sites, a number of beautiful custom homes crafted by the finest Scottsdale custom homebuilders currently are available and priced from approximately $1.8 to $5 million. Whisper Rock Real Estate Community draws its inspiration from traditional American Southwest architecture and the diverse styles that inspired it. This includes influences from Old World, Native American, Latin American, and Spanish Colonial cultures. Golf real estate in Whisper Rock attracts golfers ready to play some of the best courses in Arizona. Whisper Rock Golf Club was designed by world-class golf course architect Thomas Fazio, which exemplifies his eye for detail and passion for the game of golf. In addition to playing golf, there are many tennis, equestrian, biking, and hiking clubs in Scottsdale. Eco-friendly real estate in Whisper Rock gives the homeowner a unique bond to the area’s ecosystem. There is a fitness center, a private 3-acre park, and trails that range throughout the Whisper Rock Real Estate community to afford you opportunities for recreation. The Golf Club features two exquisite golf courses, one is Phil Mickelson design and the other is a Tom Fazio designed golf course. The residential segment and the golf courses are completely separate from each other. Membership to the Whisper Rock Golf Club, is totally related with sponsorship and invitation and it is no way related to real estate / home ownership. So, here unlike the other golf communities the residents of Whisper Rock can have an access to the services and enjoy the features of living in a private golf community without any finantial commitment. Whisper Rock Real Estate / Homes and the Golf Community are well worth taking a look at, if you're looking for a luxury golf community in North Scottsdale. The beauty and luxury of this Scottsdale Golf Community make the drive to Whisper Rock worth it. At Whisper Rock there's a Luxury Home for sale or being built for the most discerning buyer. Whisper Rock has numerous spec homes for sale or under construction. Let Bill Slack help you find the perfect Whisper Rock Home for sale. When you decide to buy Scottsdale AZ Real Estate, (whether it's Whisper Rock Real Estate or some other premium Scottsdale AZ Real estate) be prepared to live amidst some of the most renowned luxury resorts and spas, championship golf courses, gorgeous homes, and natural desert beauty in the world. With all these amenities at your fingertips you’ll be living in paradise.